Barton joins QPR for an estimated £80,000 per week. | NUFC Blog. Barton joins QPR for an estimated £80,000 per week. Barton: Impressed with QPR's ambition. After all the fuss and bother of the past few days, the now ex Newcastle United midfielder, Joey Barton, has finally mulled things over, and signed a deal for West London club, Queen’s Park Rangers. There seems to be some confusion as to whether Barton has signed for three or four years at his new club, on wages that have been estimated at around £80,000 per week, though nothing official or definitive seems to have been made public at the time of writing. If these figures are roughly correct, it would mean that Newcastle United owner, Mike Ashley has played right into the hands of Barton and his agent, Willie McKay, by offering the midfielder on a free transfer after his outbursts on microblogging site, ‘Twitter’. Both Barton and McKay could also be in line to receive a lucrative signing on fee in the transaction. “The ambition of the club really impressed me. “There’s obviously a great set of lads here already and that’s why they had such a great season in the Championship. The move is still subject to approval by the Premier League, however that should be a formality. Good luck to the lad. But will he be replaced at NUFC? Afterall, only four days left and we cannot seem to agree deals with clubs these days without getting our offer either downright rejected, or first tapping up players. I await NUFC’s move. He’ll have to change his Twitter name to Joey17barton LOL! Thanks for the 100% commitment….. Thanks for telling Lamearse and Fatboy they haven’t got a clue…. Thanks for the Twitter laughs LOL! 80 grand for barton, lets see what he does next, may be he will start drinking again. Good Luck Joey…Toon will fall flat on there arses. All the best cheers for your commitment. That 80k/week figure is an invention of imagination. There has been no confirmation, and no legitimate sources or links can be provided by the writer of this blog. Mere speculation, and utter sensationalism from him. He does not look happy in that picture. Just goes to show that the grass is not always greener elsewhere. I predict he does this season at best and them he will be off / twatting / on strike etc. Can’t wait to see warnocks reaction when things turn sour, them too together is like Semtex and dynamite with a timer that does not count down, you don’t know when its going to go off nut the only certainty is that it will! Oh come on, Mikesbestman. From one photo you can tell that Joey Barton is not happy? Sometimes, I think that imagination should take a rest and people should just call things as they are. What’s to say there are no other photos of him showing all 32 of his pearly whites? That one photo above proves he’s not happy? Delusional, you are. Gives the rest of Geordies a bad name. Pffft. I’ve seen clowns on FB etc calling the lad worse than shite, they are un-educated fools though. if someone came to me (a scummy contractor, so not too different from footballers, give or take 6 decimal places) and said “here’s double your money and a perminant contact” – they wouldnt see my arse for smoke leaving the office! :lol: Love your honesty MonkeySan. And problably even more so when you’re having a bairn (as Barton is), you’re the most marked man in football and your career could be over through injury tomorrow. estecho, It’s quite normal for a player of Barton’s calibre to negotiate a deal such as that if he’s free, and possibly receive a signing on fee too. He was on approximately £55,000 per week here incidentally. Going to jail for 6 months on full wages. Getting sent off at Liverpool in the usual reckless manner at a time when we needed you most. Throwing your toys out of the pram at the least bit provocation, e.g. at not being made captain for a friendly. Nietzche quotes on Twitter, c’mon. The self proclaimed best English midfielder is now at Manchest…er…QPR. Best of luck to the lad. Personally, I’m gutted to see him go. It’s set in stone he will have an absolute blinder against us, which could well be his debut. I reckon he’ll probably score too. Be interesting to see if he’d celebrate a goal against us, I reckon he’ll be humble about it. Barton won’t be replaced at the club, no chance. STILL NO BL00DY STRIKER!!! Ba is a fkn donkey and no better than Shola. 5 days and counting to find someone who can score. I’ve watched our last 4 games, and it’s blatantly obvious to me we’re gona struggle for goals AGAIN! No Barton, no Carroll, no Nolan and a squad full of headless chickens. FATBOY! PULL YOUR FAT CHUBBY FINGERS OUT OF THAT MOTH-RIDDEN WALLET!!!!!!!! FFS didnt you anti Bartonites watch that pathetic excuse for a game yesterday ?????? Bottom line is Fatman and weasel dont want thinkers/motivators at the club so Nolan and Barton leave and probably Harper to follow ? Presumably its more important at this club to get rid of troublemakers yet leave the like sof Lovenkrands, Best, Smith and Xisco still on the payroll ? You feckin Ashley fans ask yourselves why we’ve chucked out 12 goal Nolan, 11 goal goal Carroll, P O T Y Barton yet we still have these underachievers at this club ?????? You muppets, buying into all the shlte that Fatman throws at you, deserve to get shafted on a regular basis. The problem is that reasoned, intelligent individuals who can see this for what it is get shafted along with all you dumbfecks ! FFS grow a set between you !!!!! Good Riddance, money has always spoken louder then words, he is without doubt the biggest hypocrite in football and believe me there’s been a few. Now perhaps, we can move on and concentrate on football matters and leave personalities where they belong (in West London). A bit of topic but has anyone seen the transfer clockwatch on SSN? Apparently Aly Cissokho has told Lyon he wants to join us and that we’ve had two bids rejected. All speculation of course but could be some truth in it? Fatty will not spend any of the money as we do not need to spend money to stay in the league. 65mil p\a Sky dosh +45mil incoming fees + a wage bill reducing by the second, merchandise and ticket sales mean he must be quite close to having most of his dosh back. I think we will be sold by christmas, as its obvious he is totally sick of the crap hes been getting from some fans. I think the darlo game was the last straw, not just the fans on the pitch, but the barracking owlface got prior to the game. Lyon have confirmed that Newcastle put in a bid for Cissokho Harry, but it was a ludicrously low one that they wouldn’t even contemplate. i dont want to come across as all doom and gloom,but what has happened this summer,is mirroring what happened in 2008.
keegan waited all summer for a leftback,and never got him. any flair players or fighters were hawked around other clubs. we had a hughly unpopular window,when the collicini deal took nearly two weeks to complete. we stated the season with a draw against man utd. we then won our second game 1-0,i think. we then had a hard nights work against against coventry city,in the cup. milner was then sold to villa for 12 million. we were then beaten 3-0 by arsenal in our third game. we now go into our third game against fulham,having let one of our most influential players leave on a free. we are still waiting for a leftback,will we get him? we are a couple of days away from deadline day,still short of players,and at the mercy of ashley,yet again? we are coming off the back of a cup game,which we scraped through,with a near full strength team. remember how long it took for collicini and jonas to settle,and lets not forget the cheap french signing of bassong and a season to forget for habib beye. we now find ourselves in an eerily similar situation to 08,with the deadline around the corner. what will happen next,is anyone’s guess.but with that nutter ashley,and his little rent boy llambias,making his mouth go,are we heading for another fall? just putting it out there,dont want to be a doom and gloom merchant. UTD111, I actually agree with what you posted and liked Joey as a player and entertainer – he certainly always gave us something to talk about. I wanted to bring some balance to what you were saying. Joey is an enigma who is also a lot of bother and quite vainglorious (now theres a word that professor Joey might use). “Fatty will not spend any of the money as we do not need to spend money to stay in the league…….I think the darlo game was the last straw, not just the fans on the pitch, but the barracking owlface got prior to the game. Hope you’re right giimps. The lack of investment is leading to a state of torpor at this club. We’ll struggle throughout the season to win games and when January comes, if Fatman hasnt sold by then, he’ll begrudgingly spend some money on highly paid mercenaries just to keep us in the league. Trojan, you’re right about the start of 2008 almost mirroring 2011. Lets hope it doesn’t end the same! How come we can sell our players in an instant and take forever to buy them? It is more than clear that since Mike Ashley and Derek Llambias do not communicate with the fans (and seem to give some very mixed messages to Alan Pardew), it is because they know we would not like what they had to say and how they are thinking. So , the JB sideshow has moved on. ! Perhaps we can now get downto some serious footy and begin to put things back in perspective. Thanx 4 the rollercoaster Joey but to be honest, I’m quite pleased. jimbob, it’s spooky the way it’s unfolding. Tell me porcie when the shlt hits the fan on the pitch who would you say is now up for the fight from this current squad ? Final question is “Barton sold, Enrique sold and Nolan sold”. Were they the three worst players at the club or just the three most vociferous ? Blunderer’s often do repeat their own mistakes down to the letter because they become archetypes, complex patterns of behaviour which are very hard to escape from. Carroll, Barton, Nolan & Enrique, our 4 best players sold in eight months! Llambias & the FCB could’nt run a tap let alone a football club. Pardew, he must feel like a prize t**t, all of the above players he said he wanted them to sign a new contract and Ashley keeps pulling the rug out from under him. When will this nightmare end. I thought Fat Freddy was the spawn of devil, but I am beginning to hope he can buy the club back. 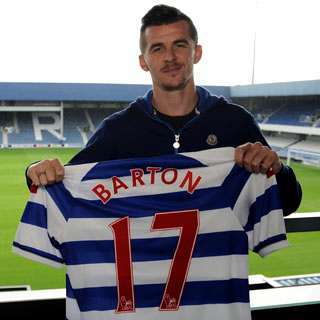 Fair play to Barton – he owes it to himself to play Champions League football, so obviously going to QPR was the natural choice. They’re in group D aren’t they? Toonie, As he said himself, all the other managers warned him that he was “mad” to work for Ashley and Llambias. Sounds about right with Ashley! Same old excuses with Ashley and co. I’ve been confident that we would make the necessary transfers this window but my optimism is wearing thin now. We’ll see what happens over the next couple of days though. I saw a shltty performance yesterday at Sc un thorpe yesterday and realised three basic points. 1. 4-4-2 with shlte forwards does nothing for this team. Its akin to putting Geoof Boycott into Englands current batting line up. Nice to see but completely impractical. When we have three championship standard forwards at the club why bother putting more than one of them on the pitch at the same time ? 2. Colo is the captain, he’s quietly spoken but undemonstrative. There were no “leaders” on the pitch last night. Maybe because they’re used to others calling the shots ? However out of the current squad there are no players capable of taking the bull by the horns and doing a “Joey” against Arsenal last season. 3. Pardwho needs to understand that with a wealth of midfielders/wingers but a very poor selection of so called strikers, 4-4-2 is not the preferred tactical choice. Its not “attacking” play when you have players of such poor quality they cannot convert very simple chances put before them or manoeuvre themselves into positions to take advantage of the hard graft that others do. NUFC should play to their strengths so 4-2-3-1 get used to it, play it week in week out and dont rely on immobile, unimaginative and unsuitable strikers. Worky – when did he say that then? I’ve never seen that quote, not that I don’t agree with the sentiment! When he was unveiled at his first press conference as manager Toonie. Come on John T you seem like a “typical fan” why dont you answer the questions that porcie clearly cant ? Anyone can do snide so why not try something a little more constructive ? “Tell me John T when the shlt hits the fan on the pitch who would you say is now up for the fight from this current squad ? “you cannot hope to solve a problem,with the same level of consciousness that created it”. oooooowwwweeeeee Bartons Boy’s club are getting all upset cos the bloke has left…. By the way I am absolutely no fan of Ashley, but we gotta get real here..
Is calling me a ‘typical fan’ meant to be an insult or a compliment?! Yeah OK maybe I was being a touch snide, I’m just pointing out that our ‘Great Philosopher King’ for all his banging on about “honour and pride” and “only leaving for a champions league club” went to a worse club for more money. Whether other people would have done the same thing in a similar position in their career is irrelevant; Barton had tried to paint himself as the lone voice of truth in the wilderness of NUFC, then proceeded to make a liar out of himself by joining a shite club for good money, and is thus hypocrite. Current leaders? It’s too early to say. If you wanted to, for some reason, look on the bright side (?!) Cabaye looks a scrapper, and I can’t see Tiote lying down and accepting defeat too easily. Stephen Taylor looked like he had pure passion flowing through his veins against scunny and Tim Krul will soon start marhalling the line once he gets used to being No. 1. As for whether Nolan, Barton and Enrique were the “worst players at the club, or just the most vociferous” – I’m not sure if those are the only two options. I doubt Arsenal sold Nasri and Fabregas because Wenger thought them his two worst players. Enrique wouldn’t sign a new contract, Barton kept making public statements against his employer (something which a ‘normal person in a normal job’, if that’s how we’re doing it, would have been immediately dismissed for) and Nolan wanted too long a contract. If you think he’d be a first team player in 5 years time I suggest you watch him struggle to keep up to pace for West Ham in the Championship. Have I answered well enough for a typical fan ;)? I’m sure Mike Ashley will be un-corking the Champers tonight having got Joey off his books. He’ll be sleeping like a baby with a little smile across his chubby cheeks. John T @47…spot on there mate…. If you don’t want to have your comment held over for ‘moderation’ DIVVEN’T MENTION SCUNTHORPE!!! I sincerely hope that we never play the f@@@ers again so long as I’m running a football ‘blog! Why is it that so many people mistakenly believe that you have to be a loudmouth who shouts and points alot to be a ‘leader’? qpr’s new owner won’t get many JB’s for his £300m fortune will he? Munich Mag, I beg to differ. I think the Toon Army and the likes of Joey Barton are a pain in his side, hence the “free” transfer following Joey’s Twitter outburst; and it is pretty evident that the one thing he can’t stand, despie being a “gazillionire”, is having a hole burnt in his pocket. Joey is 50,000 quid a week he can now save. A big smile for Michael. Agreed Worky, shouting and starting fights in every game is the sign of a psychopath, not a leader. Hopefully getting Barton and his (alledged) £65k a week off the wagebill spur big Mike on to finally bring in Pieters and a striker. JB made him self untenable, end of. we got a great year for our money, sorted. How many years did we get outta owen? Let me rephrase that: how years did owen ‘do’? Paul…I know mate, the toon army are a pain in his side, but maybe, just maybe, Cashley can spend Barton’s salary on someone who is actually on his side, and not slagging him off left right and centre, attracting negative publicity and causing unrest. Agree Clint, I reckon he fancied a lucrative move away, but I bet he was disappointed only Stoke and QPR were interested! Fair play to the lad for lining his pockets, but I wish people would stop lionising what is essentially avarice. Mikesbestmate because our passing game has been brilliant so far this season hasn’t it. We have played hoofball in every game so far this season. Also for all the good attacking football Arsenal have been playing this season how many games have they been winning? I would say players that were up for the fight for Man Utd are players like Scholes, Rooney etc.. probably most of their players actually because Alex Ferguson instills in their players a winning mentality. I think alot of people will find Barton is a bigger blow to the club than they currently realise. What about the other owner who is worth over £20 billion Clint? some great etymological usage tonight mate, loving it. A bit of unemotionally clouded thought process gans a lang way, hey mate? It is quite feasible that when Mike Ashley learned that Joey was having possible doubts about the QPR move he called up Alan Pardew and told him, in no uncertain terms, that we weren’t taking him back. Joey had to walk the plank. With all that said, I can agree that Joey brought much of this upon himself. HWTL! Barton tried to play tough guy with Ashley and we all see how that ended up… JB had to walk the plank for sure, no matter what PR bull Pardew was spouting…. Yeah well – Barton can do one. We stood by him when he was in jail, so I think he should have stuck out his last year with us however unpleasant it might have been. If he’s going to unsentimental about it then so will I – he’s treated his future as a business move. Now who does that remind me of? well, they ain’t splashed much of it yet. i reckon it must have been hard waiting to see if anyone else was ‘coming in for him’ at that price, although i’d be surprised if a champs league team didn’t, maybe the money wasn’t good enough? I am no fan of Ashley. I think there is plenty of blame to go around. All the ambition in the world will not change the fact that Loftus Road holds 18,360. Whatever anybody says this is a big step down and comedown for Barton. I hope it works for him because despite his faults I think he cares for the club that we all support. I think he will end up in the Championship and might have been better joining Nolan as WH probably have a better chance of Premier League football next year. It’s a shite punch like. i thought jack charlton was in charge for last nights game.far too many wasted ‘long balls’. i do get ya’ point mate, but scholes isn’t a good eg. one of the most natural dirty players ever. Constantly giving away free kicks for both manure & england. Sad to see him go, although he never really payed us back for sticking by him all these years. It’s going to be a bad birthday for me on Monday if we don’t sign anyone..
y’right, scholes was the worst tackler in football history. I was just being pedantic mate. Mikesbestmate your making out that Barton’s game is only about punching people and grabbing people etc… what about the times he has took a kicking but still carried on even without protection of the referee e.g wolves where he was kicked from pillar to post the whole game but did not react and drove the team on. I agree about when he punched players etc… it is wrong but would you not say the 4-4 draw with Arsenal last season was not sparked by him after he gave a hard but fair challenge on Diaby. I don’t think you have to “Cripple” players as you put it but you do need to be competative so you can play all this fancy football that you are talking about and that is where I would like to see the team at yes. If you look at all of Man Utd’s teams they defend and attack as a unit and at the min players like Marveux, Obertan etc have only shown their attacking attributes where Barton did both. I think Cabaye has shown some fight and some class and hopefully he will keep improving. I just worry that against teams when we are getting beat who is going to take the responsibility of driving the team on Barton was one of the main players that did that for us. And Scholes is a dirty player when things are not going Man Utd’s way so totally disagree with that statement just like Roy Keane was and Rooney is. Happy birthday Phisix! It’s mine in a few minutes, though technically I was born at midnight on the cusp between the 26th and the 27th. This is a “Mistimed” tackle from the saint Paul Scholes. It’s a rare thing lualua. Rob Lee was probably our best example in recent times of a midfielder who could do both. Happy Birthday Phisx and Workeyticket it is mine on Tuesday lol. Thanks lualua, and happy birthday to you too! It’s a rare thing lualua. Rob Lee was one of our best examples of a midfielder who could do both. I agree Workeyticket that is why I think Barton is a bigger loss than some people realise. I don’t think he is Rob Lee standard in all honesty because he was probably one of the best value signings we ever had and should have got more appearances for England. But I think Barton is one of those rare Box to Box players who is good at defending and attacking. Aye happy birthday Phisix, worky & lua lua. It’s my Mrs. birthday on monday too. Will the birthdays never end? Jimbob’s written an excellent match report from yesterday evening, and we’re still gannin’ on about Barton, though you are right lualua. lualua, do you remember when Keegan was fighting for survival, and he put out a kind of 4-3-1-2 with Barton as the central midfielder and Owen in a kind of hole rather than the spearhead of a normal 4-3-3? Yeah that was brilliant in that formation I think Owen played his best football for us. Keegan must have thought a lot of Barton because wasn’t it him that vouched for Barton to stay at Newcastle following his release from prison? “Aye happy birthday Phisix, worky & lua lua. Cheers Clint and Workey. Hope your Mrs has a Happy Birthday Clint :-) . A bit off topic but did anyone see on nufc.co.uk that Sammy Ameobi’s goal was Newcastle’s 200th in the league cup. Great goal looks like he has a lot of potential fingers crossed he fulfils it :-) . Sad to see him go and would prefer to have kept him but midfield is 1 area where we are very strong. This will give more 1st team chances to people like Ferguson (who I still consider a Winger not a full back), vuckic, Gosling and Abeid etc etc. I honestly don’t expect losing him to have much effect on our season. Happy birthday to you guys too. Lets hope for a win on Sunday for us too. getting old now, quarter of a century. Carroll – £35 million… You can’t turn down that sort of money. Still can’t believe that there are ‘pool fans wanted him dropped… although to be far to them he hasn’t really been that amazing for them. Barton – Far to much baggage on a player who has only had one good season for us… PLEASE NOTE THIS IN YOUR DIARY FOR THE END OF SEASON: BARTON/WARNOCK RELATIONSHIP WILL BREAK DOWN WHEN THE RELAGATION RACE HOTS UP. Personally, I can’t see what NUFC are doing wrong in selling these players. What I can see NUFC doing wrong though, is not getting LB and a STRIKER in. HOWEVER, if the club are trying to get the best deal possible for the club then, maybe we need to take the last day gamble on 31st… there are ALWAYS deals to be had there… hopefully we’ll be buying those ones!